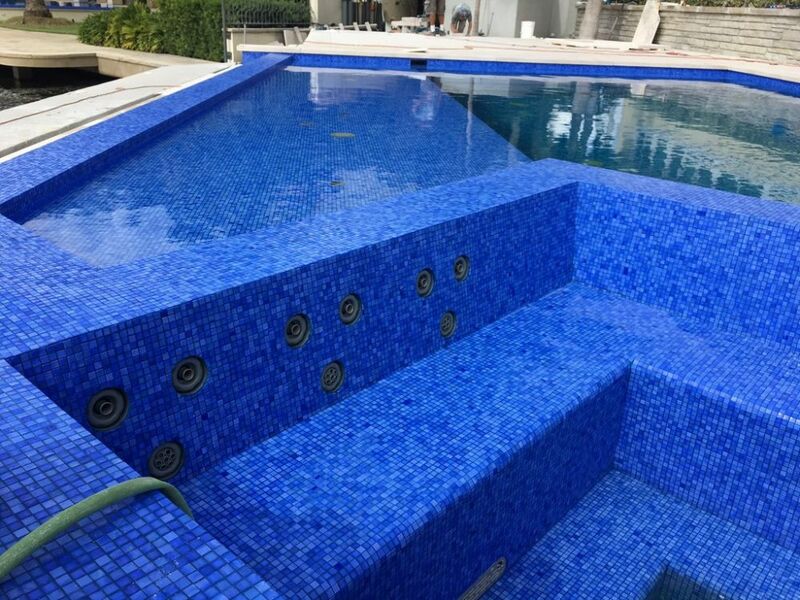 Renovating a pool for a client who is keenly engaged in the process can be a challenge, writes Andrew Kaner. But with a home and setting like this, the desire to get past it and deliver an amazing transformation lightened the load -- and, in this case, led to spectacular results. We don’t get involved in renovations all that often, but in this case it would’ve been tough to say no. Not long before, we’d designed a new pool for right next door – a thoroughly modern watershape that looked great and was perfectly suited to the property and the architecture of the home. As work continued on site, it was apparent that one of the neighbors was more than a little interested in the process, and it wasn’t difficult to figure out why. His own pool was a drab, 1990s-vintage plunge, basically featureless with a set of steps, unremarkable materials and not much at all to say for itself. 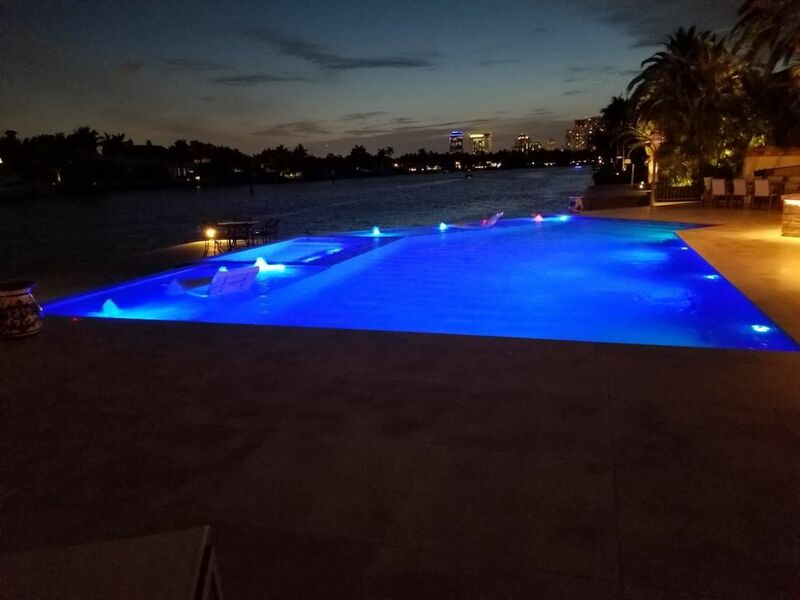 It wasn’t long before he called to ask us at Aquatic Consultants (Miami, Fla.) about bringing the old watershape up to date. It would be simple to ascribe his motivation to a desire to keep up with the Joneses, but as we dug in and he became increasingly engaged, we found that he was amazingly passionate about every detail and wanted to know all he could about literally everything that was (or would be) happening in his backyard. This meant that each of us on the project team was bombarded by a steady stream of questions – and that we all had to stay on our toes for the full duration of the process. 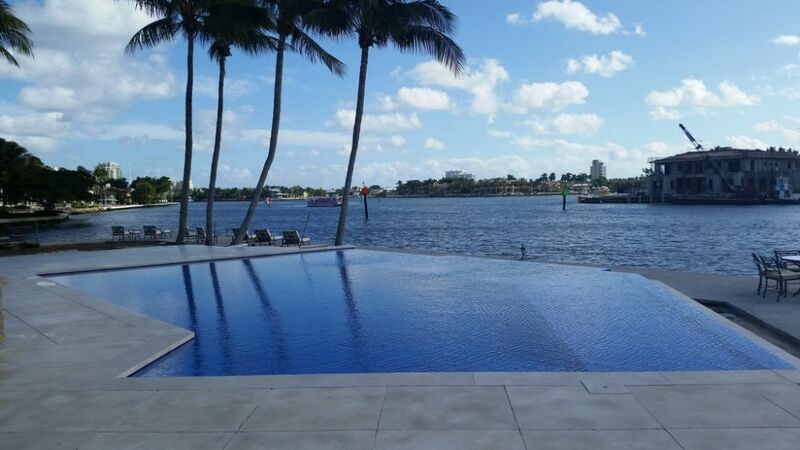 The property sits alongside a major waterway in Fort Lauderdale, Fla., with long frontage that gives the homeowner a strong sense of participation in the life of that channel, which sees passage of hundreds and, on many days, even thousands of sailboats and power boats. 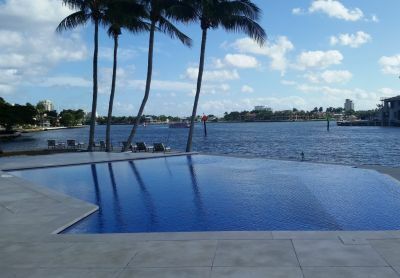 We immediately recognized two things: First, the existing pool wasn’t tied into that backdrop or the home in any functional or visual way; second, we had some room on the channel side to significantly expand the pool’s water surface and allow for inclusion of features that would fully exploit its vantage point just above the waterway. 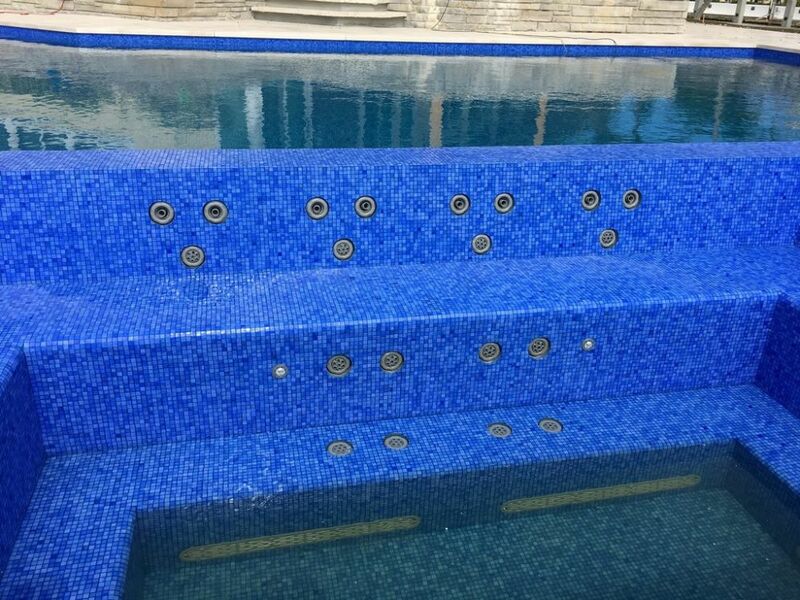 This basic plan would allow us to preserve almost the entire original structure of the pool while giving us what we needed to add a spa and two shallow lounging areas. In most projects, these elements would be swung the other way around, with the spa and lounging areas on the home side and a vanishing edge left alone to define the water-on-water view. Here, however, we turned things around, with the spa and lounging areas on the far side of the pool as integral parts of a long vanishing-edge system. The main reason for these placements was practical, of course. Working this way would allow us to expand beyond the existing shell by simply appending new features to its outside edge. (There was no available space to do so on the home side.) But we also saw that this outer-edge positioning was important to the client on a personal level, because it would give him wonderful opportunities to sit in complete comfort as he communed at close range with the boats passing by. Inspired by what he’d seen of the pool we’d designed for his next-door neighbor (top left), our new client asked us to revamp his nondescript watershape (middle left and middle right) with something that both reflected and respected the architecture of his home and its position on a major Fort Lauderdale waterway (right). Along the way, we had to explain everything to his satisfaction, including our desire to trash the aging equipment set (bottom left) and start over with modern components. The contractor – Gables Pool & Spa (Miami) – was familiar with us and our work, and we were confident that they could execute our plans and meet the homeowner’s expectations. But as is suggested above, this was no ordinary client: He wanted everything and anything spelled out in unusual detail so he could keep track of the whole process. Partly it was because he was frugal and wanted to understand exactly how and why his money was being spent. But partly it was because he was exceptionally curious and wanted on some level to understand all of what was happening and why. And he had questions about everything – pipe diameters, pump sizes, small design decisions we’d made and some big ones, too. We saw that he was sensible and a quick study, which helped, and we had to appreciate the fact that he never really crossed the line or became difficult. He just wanted to keep up, and we all figured out ways to cope as things moved along. 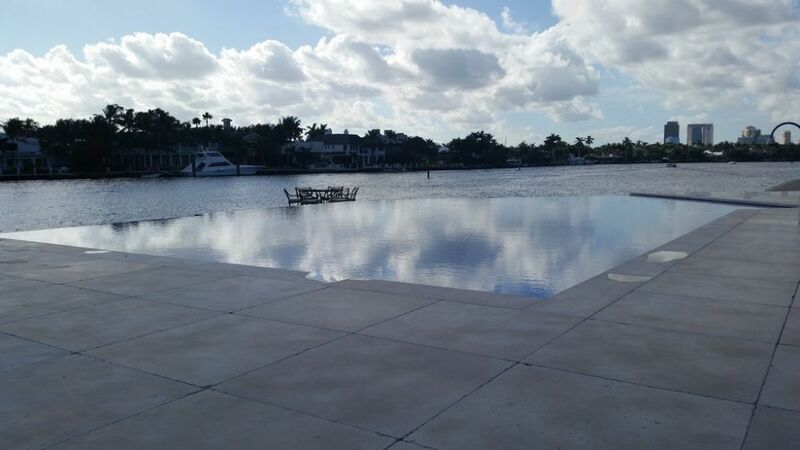 To make the additions work, the crew at Gables Pool & Spa started by breaking down the far wall of the pool to a level about 18 inches lower than we’d found it. This enabled us to wrap new material over the old shell and down to its floor, with all surfaces thoroughly waterproofed and the cold joint set up in such a way that there will never be any issues so far as leaks are concerned. 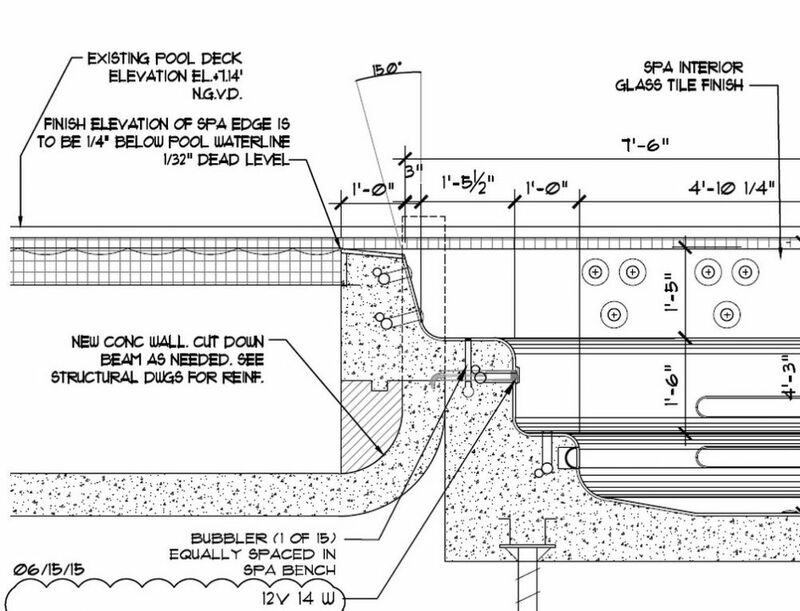 It was also important to keep the outer edge’s profile low with respect to the deck beyond: As it stands, the drop from the wall to the trough is about 18 inches, meaning there was no need to install a barrier that would’ve had the effect of cutting the spa and shallow lounging areas off from the waterway. In all of this, the builders did marvelous work. Not only did they manage to find a way to manage an inquisitive client, but they were also familiar with our approach and the extensive documentation we generate to make certain projects come together the way we and the clients intend and expect. 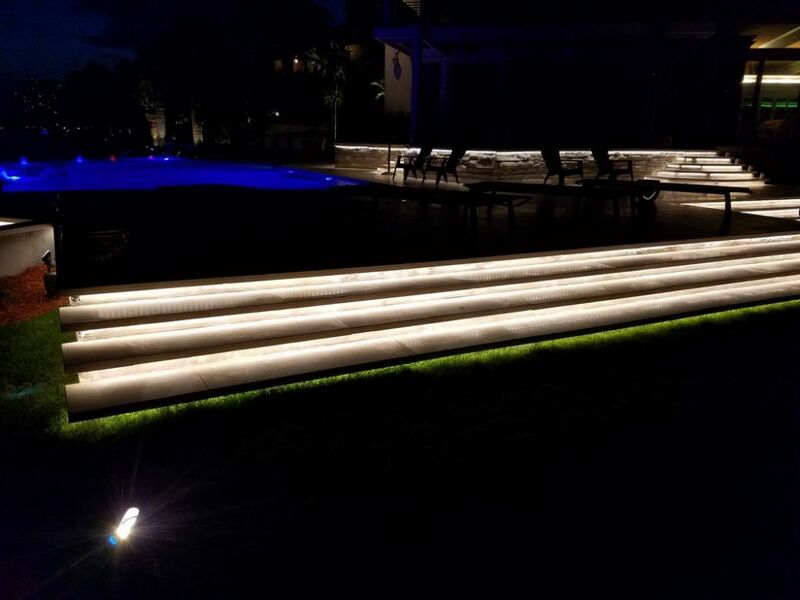 An existing deck area on the far side of the pool allowed us to expand the water surface and give the homeowner the new features he wanted, including a spa and shallow lounging areas, without requiring the removal of more than a portion of the original shell (left). Wrapping the new material over the reduced far wall (middle left) enabled the contractor to waterproof and seal everything while also getting rid of a cove that would have further complicated an already complex tile-application job. Note that the new, full-featured spa faces outward, toward the channel, giving the client a relaxing spot from which to watch the boats go by. But they weren’t simply building to plan: They reviewed every detail and had recommendations for us that reflected exactly what they’d found in pulling apart and assessing the old systems and figuring out how best to knit new into old. For example, we’d send them draft plans having to do with piping placements for the added structure; they’d mark them up based on what they’d observed and we’d incorporate their feedback into the final documentation. It was a uniquely effective team – client included! One of our most memorable group exercises had to do with the equipment set: The homeowner had hoped to reuse some of it, maybe even most of it, but the rest of us were determined to start fresh. Again, it was all in the communication: Once we explained the energy efficiencies available with variable-speed pumps and the hydraulic efficiencies of working with a matched, balanced equipment array (in this case all from Jandy of Vista, Calif.) he was happy to go along with us. But as often happened with this project, the high level of communication opened both us and the contractor to dozens of questions about how much efficiency and what level of savings he might see by agreeing to abide by our recommendations. Ultimately, the fact that everything came together so smoothly almost certainly had something to do with his keeping us on our toes. The thing about renovations is that, in some ways, they’re every bit as challenging and complex as clean-slate projects – but require much more by way of restraint and impose unusual and sometimes complex limits on creativity. They’re hard work, in other words, and they don’t get any easier if they’re constantly being compared to a clean-slate project right next door. There’s also the fact that this project involved us in expanding the pool’s footprint. In most renovations, we’ll place a spa within an old pool and do all we can to leave the shell alone. Here, we hung a considerable amount of new, deluxe square footage off the original pool and had to figure out ways to integrate new into old in ways that will give the homeowner years and years of trouble-free enjoyment. The completed composition fully embraces it surroundings, exploiting gorgeous views across the pool to the water beyond and creating a setting that, day and night, invites our client outdoors to relax and enjoy his thoroughly renovated poolscape. These projects can be rewarding, of course, but for us, there’s not as much raw fun to be had with them as there is in starting from scratch with unbridled imagination and an empty canvas. But here, the artfully renovated pool with its new spa and lounging areas was an ideal solution for a very specific and particular client. And the fact that it’s as bright as a new penny, fits much more gracefully into its setting and will give him a lifetime of boat-watching pleasure? It’s remarkably satisfying if only because we know how happy he is – and how much better the new watershape looks than the plain, old nugget we’d found on site. It’s quite a transformation – and the new views aren’t bad, either.